Corrigendum regarding NIQ No. NITJ/PUR/EO/215/18 for AMC of water supply and sewerage scheme of the Institute. Notice Inviting Quotation No. NITJ/PUR/CH/203/18 for the Supply of Direct Methanol PEM Fuel Cell (Single Cell Assembly) & Electrode Assembly required for Chemical Reaction Engineering Lab of Chemical Engineering Department of the Institute. Notice Inviting Quotation No. NITJ/PUR/CE/214/18 for the Supply of Humidity & Temperature Control Cabinet required for Geotechnical Engineering Lab of Civil Engineering Department of the Institute. Notice Inviting Quotation No. NITJ/PUR/CH/138/18 for the Supply of Separating and Throttling Calorimeter required for Reaction Engg. and Control Lab of Chemical Engineering Department of the Institute. Notice Inviting Quotation No. NITJ/Pur/228/18/2685-88 for the Supply of Stole – Qty- 1000 nos. required for graduands and academic procession of the institute during convocation. Corrigendum regarding e-Quotation Notice No. NITJ/PUR/TT/204/18/e-Quotation no. 05/2018 for Purchase of Digital Padding Mangle required for Textile Chemical Processing Lab of Textile Technology Department. Notice Inviting Quotation No. NITJ/PUR/CH/208/18 for the Supply of Centrifuge under buy back scheme required for Reaction Engineering & Control Lab of Chemical Engineering Department of the Institute. e-Quotation Notice No. NITJ/PUR/TT/204/18/e-Quotation no. 05/2018 for Purchase of Digital Padding Mangle required for Textile Chemical Processing Lab of Textile Technology Department. Notice Inviting Quotation No. NITJ/PUR/CH/203/18 for the Supply of Direct Methanol PEM Fuel Cell (Single Cell Assembly) & Electrode Assembly required for Chemical Reaction Engineering Lab of Chemical Engineering Department. Corrigendum regarding e-tender No. NITJ/Pur/100/18 e-tender no.10/18 for ARC of sanitary items. e-Tender Notice - NITJ/PUR/Furniture/34/18/e-Tender No.19/2018 for entering into Annual Rate Contract (ARC) for supply of furniture items. Notice Inviting Quotation No. NITJ/Pur/EO/145/18 for the Supply of PA System (under buy back scheme) for Central Seminar Hall of the Institute. e-Tender Notice No. NITJ/TEQIP-III/NCB/2018/01/ANIT/10 for purchase of Desktops required for various Departments of the Institute. Notice Inviting Quotation No. 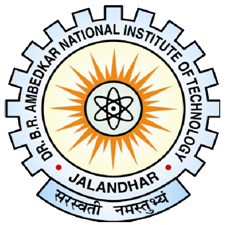 NITJ/PUR/IPE/178/16 for the Supply of Pneumatic Components with Low Noise Compressor & Accessories required for CAM & Automation Lab of Industrial and Production Engineering Department of the Institute.